(#3) The male body as a staging ground for Hot. Pink. Trunks. 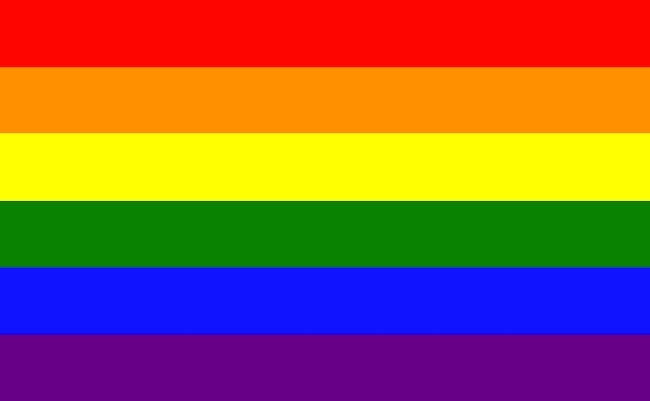 The pink apparently represents both red and purple in the rainbow, and orange is missing. CK is offering a (rather eccentric) collection of colors from the rainbow. 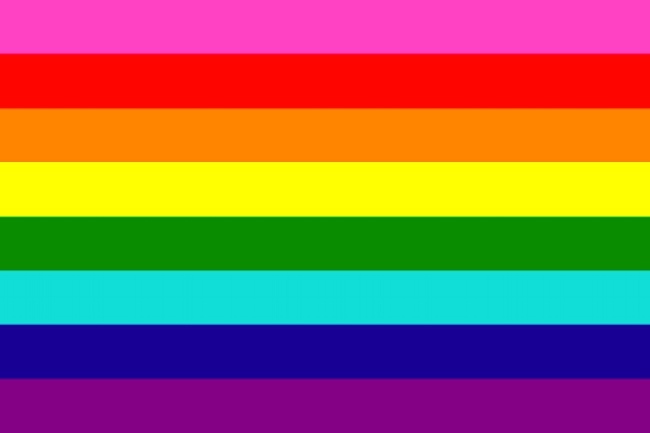 Similarly, the Jungle Flossers in my June 10th posting “Rainbow moments”, which are tetrachromatic: the “inner four” colors of the current Pride flag, with red and purple omitted. Nothing says love like tight-fitting trunks in neon colors. [Isaac] Newton divided the spectrum into seven named colors: red, orange, yellow, green, blue, indigo, and violet. He chose seven colors out of a belief, derived from the ancient Greek sophists, of there being a connection between the colors, the musical notes, the known objects in the solar system, and the days of the week. The human eye is relatively insensitive to indigo’s frequencies, and some people who have otherwise-good vision cannot distinguish indigo from blue and violet. For this reason, some later commentators, including Isaac Asimov, have suggested that indigo should not be regarded as a color in its own right but merely as a shade of blue or violet. However, the evidence indicates that what Newton meant by “indigo” and “blue” does not correspond to the modern meanings of those color words. Comparing Newton’s observation of prismatic colors to a color image of the visible light spectrum shows that “indigo” corresponds to what is today called blue, whereas “blue” corresponds to cyan. 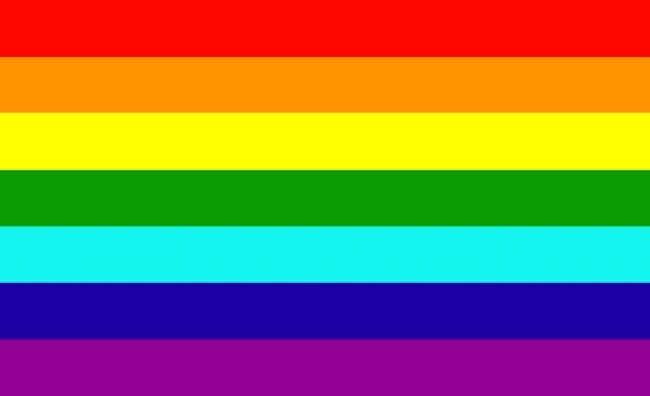 This is where we are now, with occasional playful variations, and also efforts to expand the flag to be more inclusive of everyone in the lgtb world. This entry was posted on June 13, 2018 at 4:06 pm and is filed under Categorization and Labeling, Color, Flags, Homosexuality, Signs and symbols, Underwear. You can follow any responses to this entry through the RSS 2.0 feed. You can leave a response, or trackback from your own site.